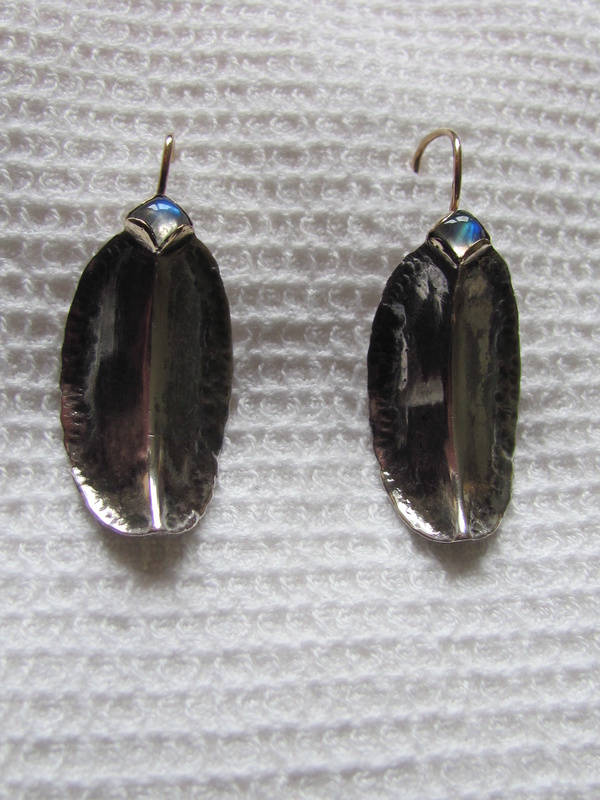 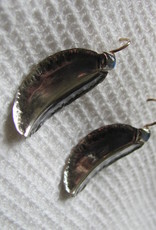 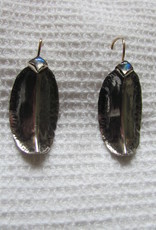 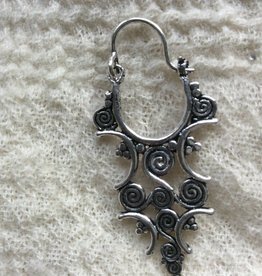 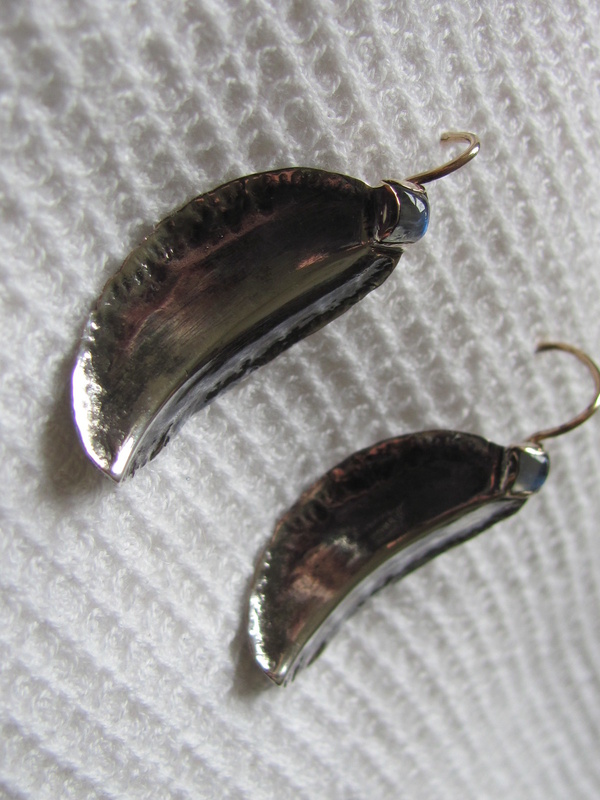 Artistic earring beautiful organically formed leaf model. . Silver with a cabouchon labradorite stone. 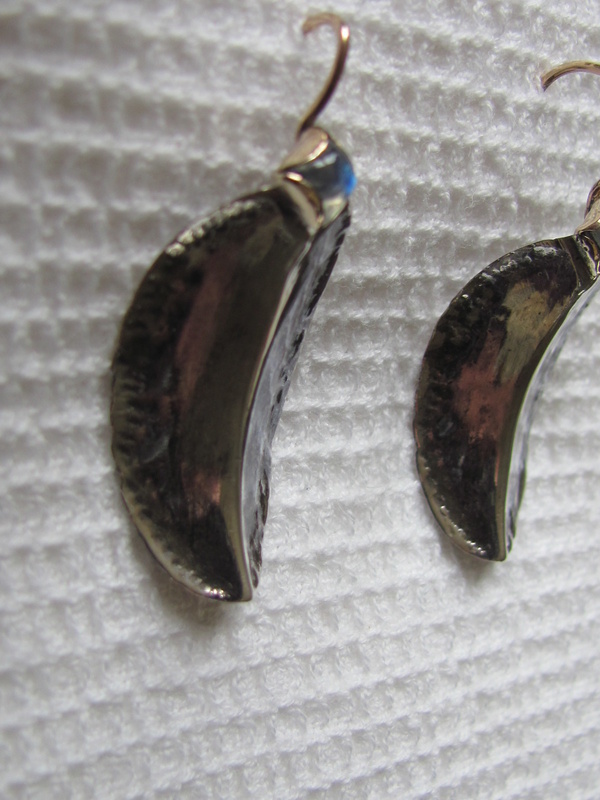 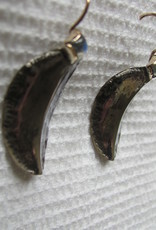 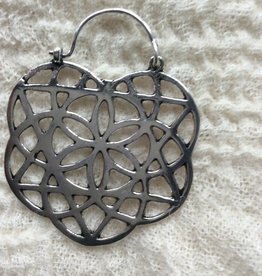 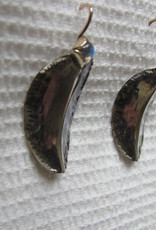 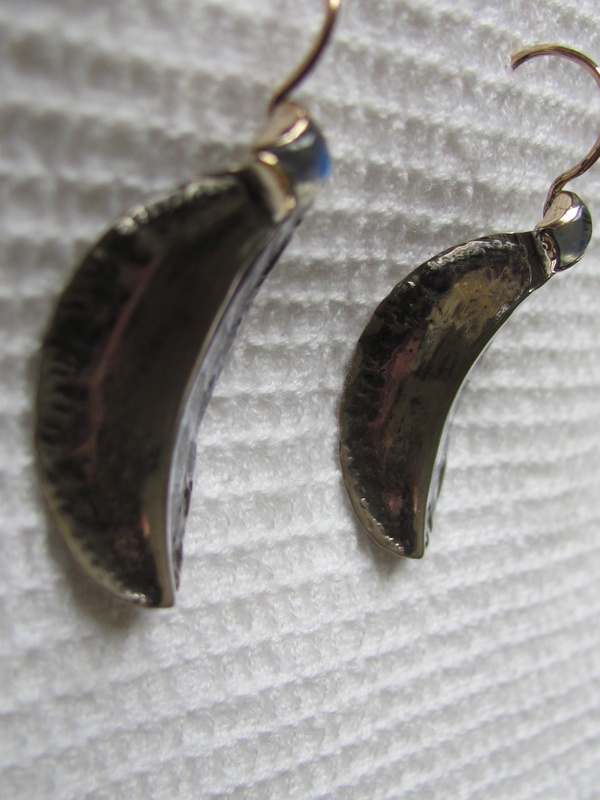 Stone setting and ear hook are made of an electroplated gold layer 3 cm long without the ear hook.